Corel PaintShop Pro 2019 has been announced and with it comes new brushes, colour palettes and more. The new version of PaintShop Pro adds more features for photographers and boosts editing speeds. 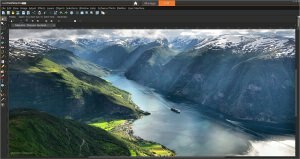 PaintShop Pro X8 has had an update to increase performance speeds and to bring in-app learning to users. Corel has released a new version of its PaintShop Pro software featuring new tools, enhancements and a rather reasonable price point. 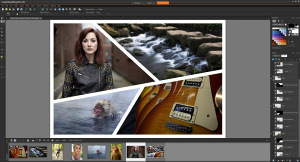 Corel has launched Paintshop Pro X5, the latest version of its photo editing software. Make the most of your new photo and video devices with a great promotion from Corel. Exclusive Corel Invite For ePHOTOzine Members! Corel are giving ePHOTOzine members an opportunity to take part in an exclusive webinar and interactive Q&A session on 6th October. Corel add 75 new features to the latest version of their PaintShop Pro software. 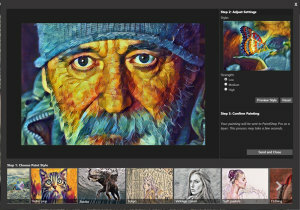 New Corel Painter 12 sets a unique standard for realism and creativity in professional digital art. 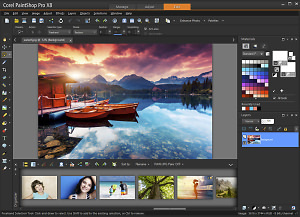 Corel PaintShop Photo Pro X3 Ultimate now available. Use Corel PaintShop Photo Pro X3 to overcome the challenges of summer photography.